Side effects cause stress for survivors and families and increase demand on health systems. But an emerging area of medicine, nanomedicine, offers hope for better children's cancer treatment that will have fewer side effects and improve quality of life for survivors. Nanomedicine is the application of nanomaterials, or nanoparticles, to medicine. 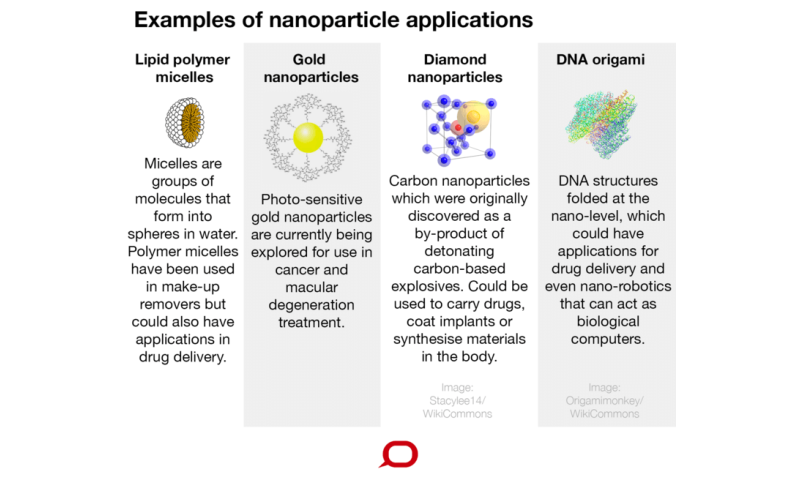 Nanoparticles are a form of transport for drugs and can go places drugs wouldn't be able to go on their own. Nanoparticles can be engineered and designed to package and transport drugs directly to where they're needed. This targeted approach means the drugs cause most harm in the particular, and intended, area of the tumour they are delivered to. This minimises collateral damage to surrounding healthy tissues, and therefore the side effects. The first cancer nanomedicine approved by the US Food and Drug Administration was Doxil. Since 1995, it has been used to treat adult cancers including ovarian cancer, multiple myeloma and Karposi's sarcoma (a rare cancer that often affects people with immune deficiency such as HIV and AIDS). Currently, there is a stream of new nanomedicine treatments for adult cancers in clinical trials (trials in humans), or on the market. But only a limited number of these have been approved for children's cancers, although this is arguably where nanomedicine's strengths could have the most benefit. 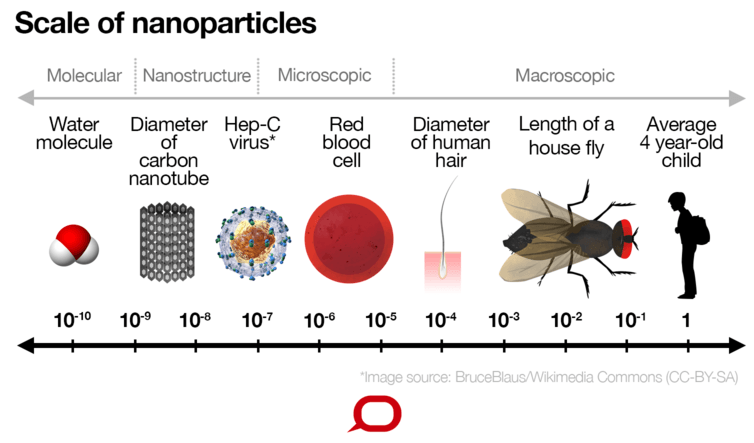 Nanoparticles vary in characteristics like shape and size. Researchers need to match the right nanoparticle to the drug it's to deliver and the particular tumour. An array of nanoparticle structures are currently being engineered. One example of an interesting structure is the shape of a DNA origami. Because DNA is a biological material, nanoparticles engineered into DNA origami shapes won't be seen as foreign by the immune system. So these can transport a drug to diseased cells while evading the body's immune system, therefore lessening the side effects of drugs. How can nanomedicines help treat kids' cancer? In standard treatment for children's cancer, chemotherapy drugs are often prescribed at the maximum tolerable dose for a child's age or size, based on adult dosages. But children aren't small adults. The processes underlying children's growth and development might lead to a different effect and response to a chemotherapy drug not seen in adults. Also, if a child becomes resistant to a drug and they're on the maximum tolerable dose, there's no scope to increase it without toxic side effects. By packaging up drugs and moving them through the body directly to diseased cells to reduce collateral damage, in theory, nanomedicine allows higher doses of drugs to be used. Nanomedicine has great potential to safely treat children's cancer. However, it is currently stymied by too little research. About two-thirds of research attention in nanomedicine therapeutics, of more 250 nanomedicine products, is focused on cancer. Yet this isn't translating into new cancer treatments for children coming to market. But we are making progress. Our work is exploring the design of nanoparticles to deliver gene-silencing drugs to treat the most common brain cancer in children – medulloblastoma. We're also working on nanomedicines for other significant childhood cancers. These include drug-refractory acute lymphoblastic leukaemia, the most common childhood cancer, and neuroblastoma, the cancer that claims more lives of those under five than any other.